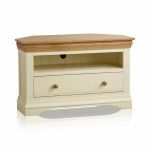 Ideal for modern and traditional homes alike, the Country Cottage Natural Oak and Painted Corner TV Cabinet sports a distinctive, elegant styling with flared cornices, quality oak button handles and softly rounded edges. 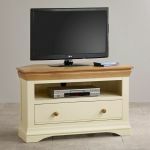 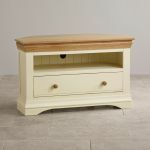 Made from the finest cuts of solid hardwood it features a spacious dovetail drawer for storing DVDs, CDs or games. 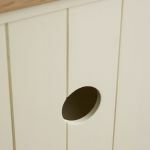 Directly above this, a deep shelf offers plenty of space for any appliances with a bespoke exit at the back for the inevitable cables. 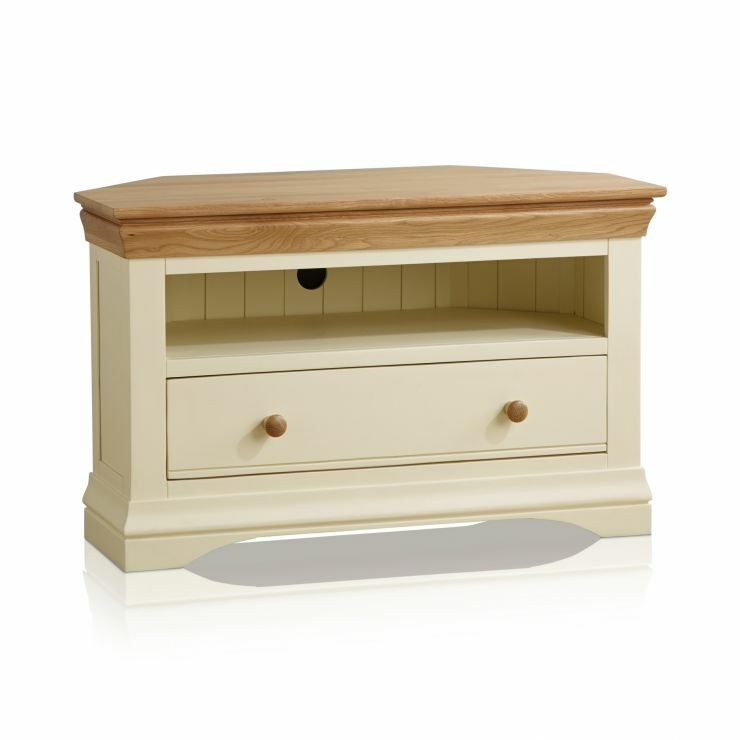 Forming part of our popular Country Cottage Natural Oak and Painted collection, the TV Cabinet flaunts a distinctive cream painted finish with a beautifully contrasting natural oak top. 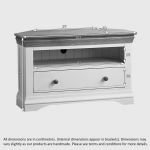 Why not check out the whole collection to discover matching items of painted furniture for every room in your home?